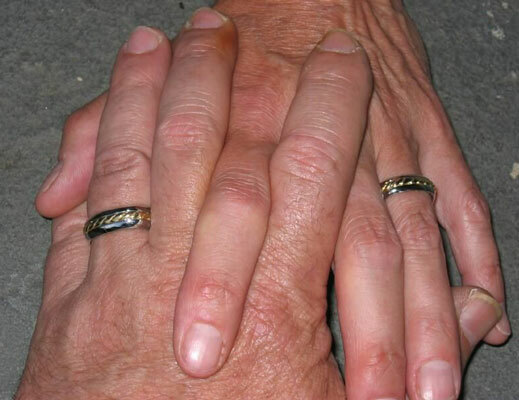 Intertwining Gold for Forever Love. This unique 18 Karat white gold wedding band features an inlaid yellow gold wire twist. Very tricky process to do in gold. The white gold protects the yellow gold twist. The ring is in a soft square shape and is slightly rounded inside for a very comfortable fit. Solid nice rings. 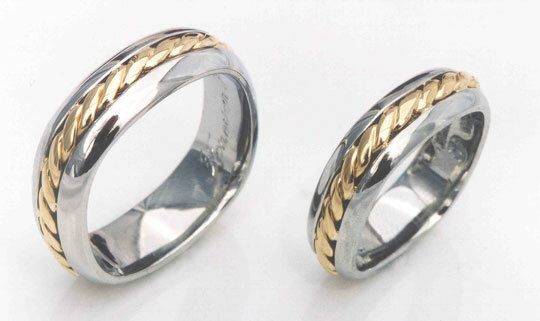 This wedding band is equally suited to both men and women as a matched set. Availble in 6 or 7 millimeter widths. Include ring size for quote.